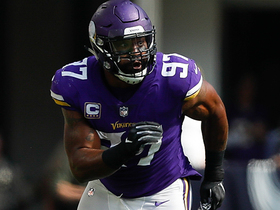 Griffen and the Vikings have reached an agreement for the defensive end to remain in Minnesota, Ian Rapoport of NFL Network reports. Analysis: This could mean Griffen took a pay cut to stick around, as he was otherwise under contract through 2022 with cap hits of at least $11.7 each year. Although the 31-year-old's play fell off in 2018, off-the-field concerns may have played a significant role in that. Griffen otherwise averaged over 10.8 sacks per season in the four preceding seasons. 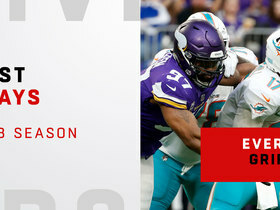 Griffen had 33 tackles (22 solo) and 5.5 sacks across 11 games in 2018. Analysis: Griffen missed five games early in the season as he addressed some mental health issues and never really found his rhythm this season. The 31-year-old is signed with Minnesota through 2022, but if the team were to cut him prior to March 15 it would save about $11.7 million in cap space with only $1.2 million in dead cap, per Spotrac.com. The Vikings also have the third-least amount of projected cap space in 2019, making Griffen a prime candidate to be a cap casualty. 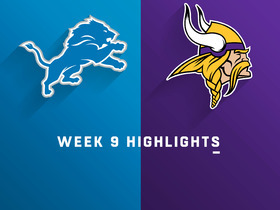 Griffen recorded two tackles, including one sack, during Sunday's victory over the Lions. 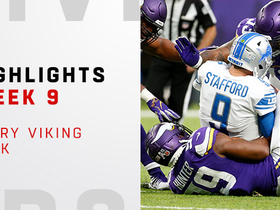 Analysis: Vikings pass rushers weren't as productive as they were during their first meeting with Detroit this season when Minnesota sacked quarterback Matthew Stafford a combined 10 times, but the unit still had no trouble shutting down a Lions offense depleted of star power. 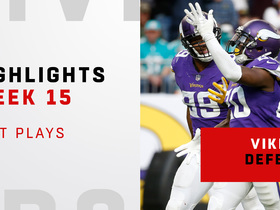 Griffen was a big part of that, and the veteran now has 5.5 sacks in 10 games this season. 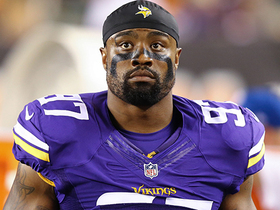 Griffen recorded one sack across 43 defensive snaps in Sunday's win over the Packers. Analysis: Griffen didn't stuff the stat sheet Sunday night, but showed up when it mattered most, delivering a huge sack on Aaron Rodgers late in the fourth quarter with the Packers driving. Across six games this season, Griffen has recorded 14 tackles and three sacks. 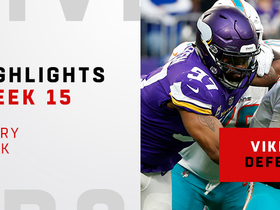 Griffen had 1.5 sacks, three QB hits and four total tackles in Sunday's win over Detroit. 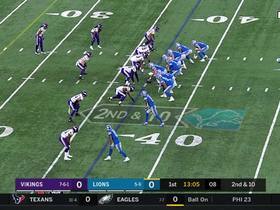 Analysis: Griffen played in 52 of the defense's 71 snaps as he looked back to full speed in his second game after missing five games due to mental health issues. He had just one tackle and didn't provide any pressure against the QB in his first game back, but against the Lions, he looked like the player who had 13 sacks last season. 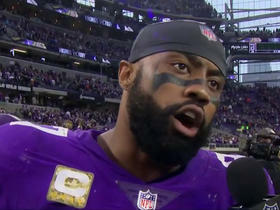 Minnesota Vikings defensive end Everson Griffen talks to NFL Network's Stacey Dales following their Week 9 win against the Detroit Lions. 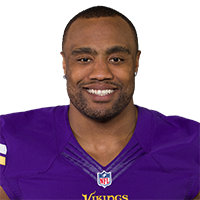 NFL Network's Tom Pelissero brings the latest information on Vikings defensive end Everson Griffen.